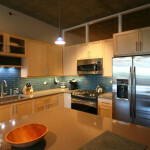 Find photos of our work in our Kitchen Interior Design Chicago Portfolio. 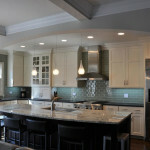 Kitchens and baths are more than a sum of their parts, more than good fixtures, vanities, and counter tops. A good design balances concept and function and finds harmony between its parts. Components don’t just match, they work together to create a whole. Laying out walls, soffits, other structures. Considering special architectual features such as dropped or vaulted ceilings and crown molding. Considering ventilation, appliance and sink locations. 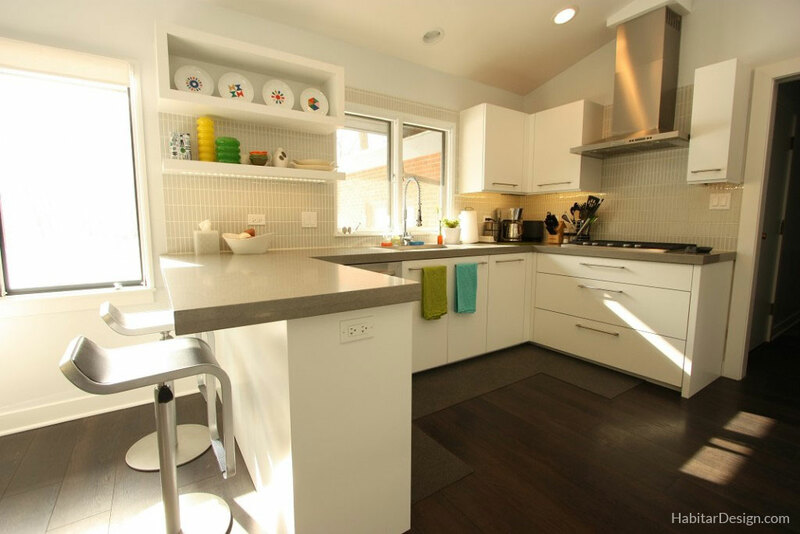 Stone Countertop Selection: We will help you determine whether granite, marble, limestone, quartz or soapstone surface best serve the client’s aesthetic, functional and budgetary needs for their kitchen remodel. 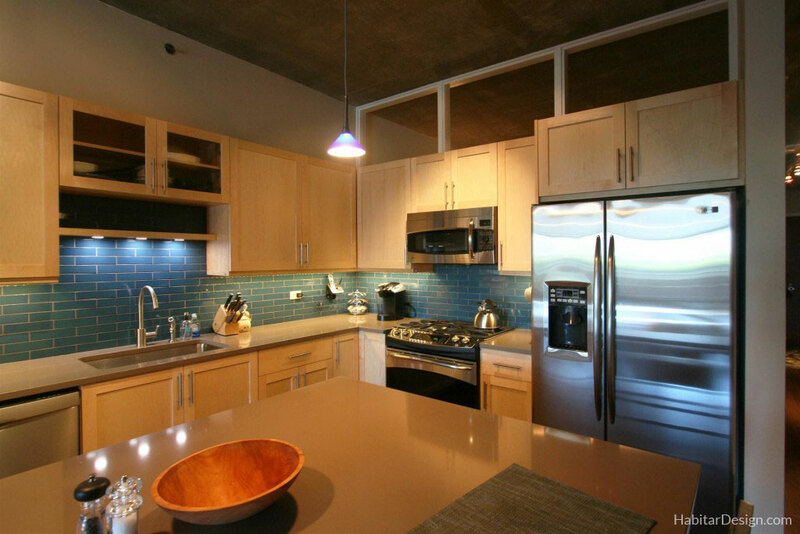 Backsplash Selection: Options include stone slab, stone tile, stainless steel mosaic, and glass mosaic. 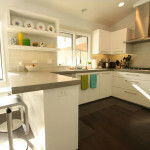 Habitar factors the look, cleanability, and price tag to compliment and enhance your new kitchen. 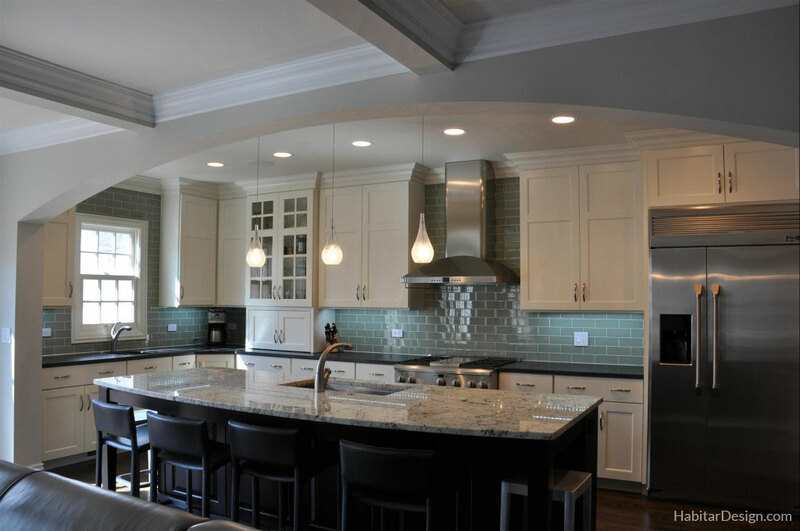 Cabinet Selection and Design: According to your needs and desires, we design the perfect Kitchen Cabinets for you, starting with material selection (wood, composites, stainless steel, aluminum are common options), and a functional, aesthetically-pleasing layout. 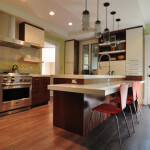 Then our custom Chicago wood shop builds your new kitchen cabinets quickly and at local cost. 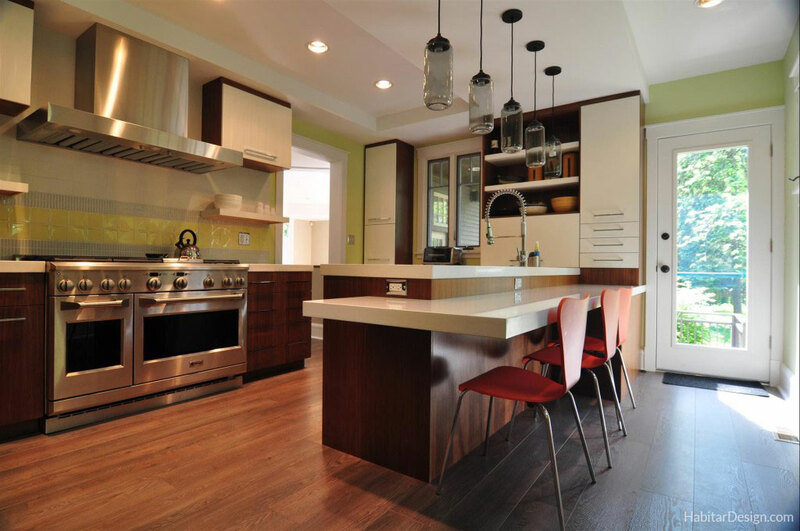 Constructing our wood-work in house gives us creative flexibility in our designs and a firmer control than other companies over the timeline for your kitchen remodel. Don’t wait for delivery and pay thousands extra for expensive brand names. See for yourself how well our cabinets and built ins hold up to designer cabinet manufacturers like Poggenpohl and Jesse. 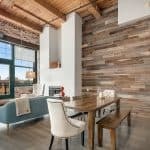 Built-ins: Custom Kitchen Eating Nook Built Ins, Pantry Built Ins, Office Built ins, Breakfast Bar Built Ins, Wine Rack Built ins, and Shelving… The possibilities are endless!! Hardware: Door and Cabinet Pulls, Handles, and Knobs. Improved Shelf Access: We have a wonderful relationship with Hafele Hardware, which provides customizable soft close drawer and cabinet hardware, sliders, and hinges, along with myriad accessories, for every type of kitchen storage solution. Fixtures and Sinks: Evaluating the cost of moving plumbing fixtures to new locations, Selection of plumbing fixtures and sinks. Appliances: Evaluating the costs of moving appliances to new locations. Selection of kitchen appliances.